So my tires seem to be wearing on the sides more than the center like a clear trapezoid.... This didn't happen before and it is my first bike so Idfkin know. And am I really leaning that far? Like I said before I live in the mountains and the road is colder than ice hell. What air pressure are you running? 2.5 bar. And pics soon. 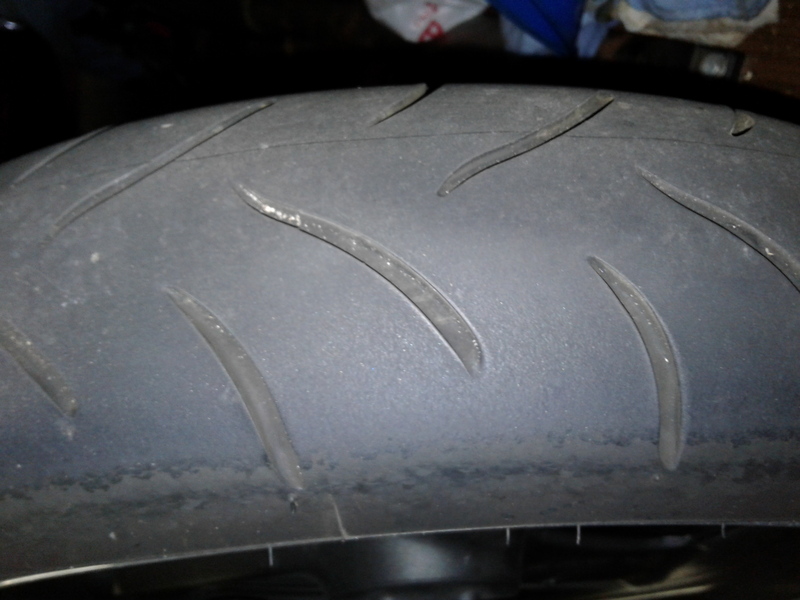 I've never worn out a tyre centre, I usually hit the wear bars at about the mid point of the crown first especially on the right side, but I don't ride straight roads, and as we ride on the left here, this seems to be normal to me. What brand of tire? 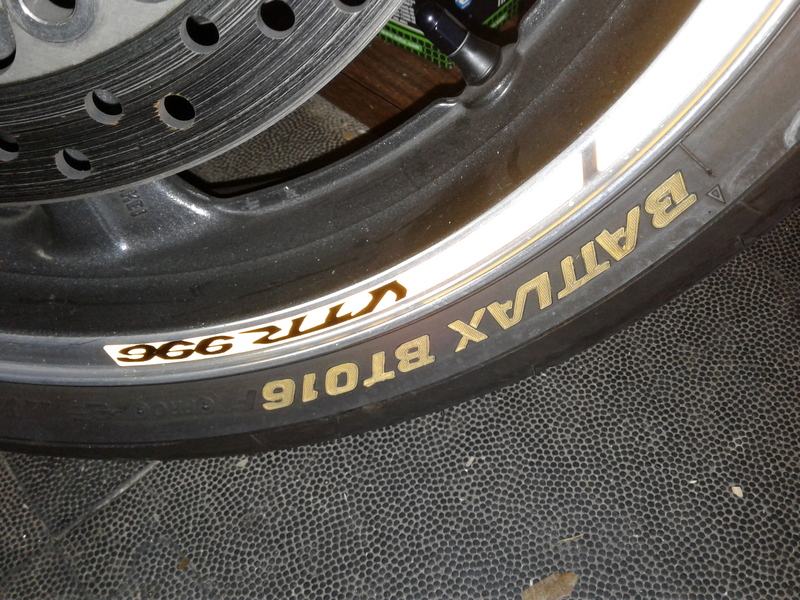 Bridgestones wear so irregularly that they become unsafe if they are dual compound. The center is very hard compared to the sides. Not my experience. I've been running them for a while. Couple others here agreed on my findings too. I'll have to check my log book to see how many miles are on this one. 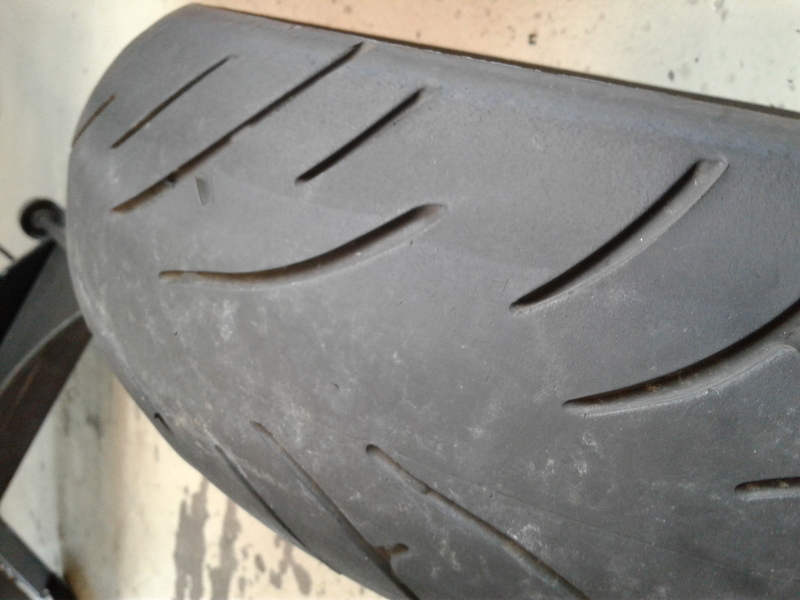 Dual compound, perfectly normal wear, 100% safe. Its mostly the front stones that go into a weird shape. I still have one and have read magazine articles about the same issue. Maybe a big bad batch but prevalent enough to get a lot of attention and make me not want to run them due to dangerous instability. And it take a heck of a lot to dissuade me from something. Sorry I took photos but Tue PC is on the frits. I figured it out. Its the grooves in the roads here. Also I lean stupid far for the temps. Cold road with these grooves= grinder. Hey Joe, the reason Wolverine is getting such even wear is he's using 78% nitrogen. Nope. He's obviously been countersteering. 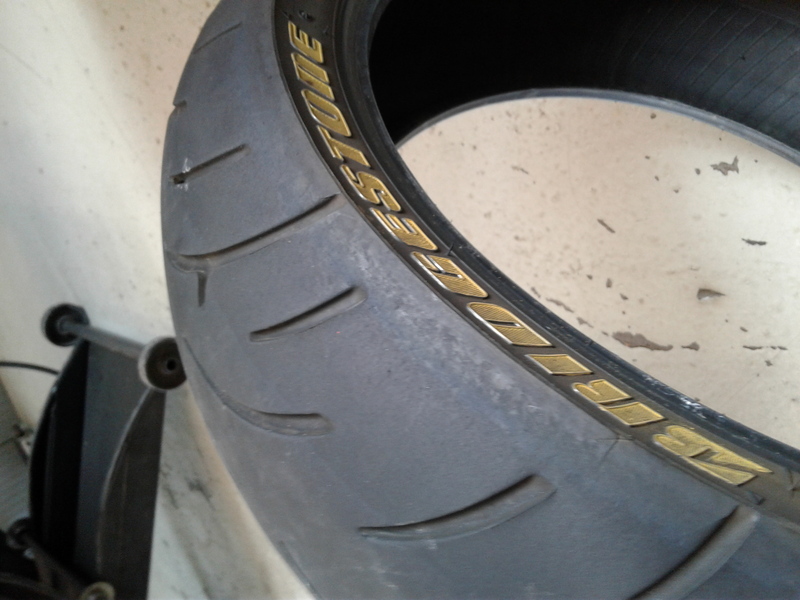 I love my Bridgestone S21 tyres. Perhaps it has something to do with the suspension on the offending bike! Had a set of T30'as well and no probs. Got over 9K out of them when 7 is the norm. Lol, advice is always best served by experience and I'm just sharing mine. I just changed a BT016 on a gixxer 1k yesterday and it wasn't funky. I've never noticed a weird/dangerous looking Stone. STILL waiting on more info from OP. Pics please! So also I may not have been counter steering enough. So I looked again today and its heavier o. One side and I added it up. The tire has just had it. Its probably 5 years old. 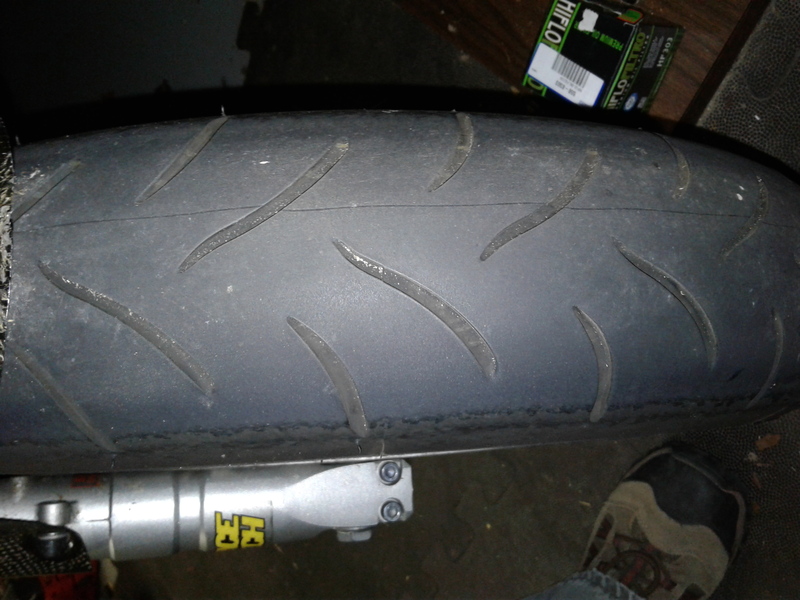 Quick Reply: tire wear pattern question.